It is the diagnosis every horse owner fears:” Your horse has foundered”. Jimmy, my handsome Polish Arabian, had injured his hind leg at the hock after running through a fence. A T- post recoiled and hit his hock at the joint. So he had surgery and a cast below the right fetlock It didn’t take long until he put too much weight on the left hind and foundered on that foot. I had a talented and dedicated team, including my veterinarian, my farrier and Farrier’s Formula Double Strength. Jimmy’s foundered foot prolapsed thru the bottom of the hoof. I watched day after day, bandage after bandage, as things seemed to worsen in the middle of winter 2010. Then I found Farrier’s Formula Double Strength. So in addition to my talented and dedicated veterinarian, who saved him from infection and made a pad he wore on the bottom of his hoof, a change began to occur. I fed him Farrier’s Formula Double Strength and a new hoof began to appear. He grew an entirely new hoof from November (when he foundered) until March of the new year. 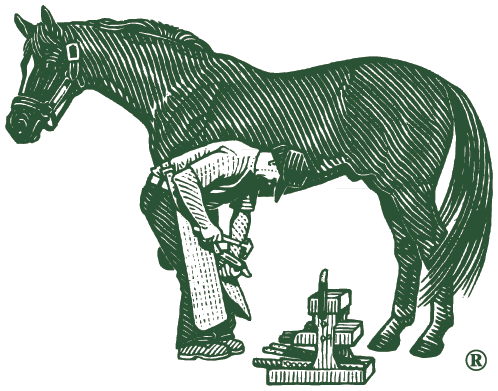 I give credit to Farrier’s Formula Double Strength and also noted a faster growing mane and tail during that time. Jimmy is now fully recovered, runs without being shod and is going sound. He is still on Farrier’s Formula Double Strength!